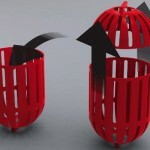 Dolfi is a small device that could be our future generation of washing device. 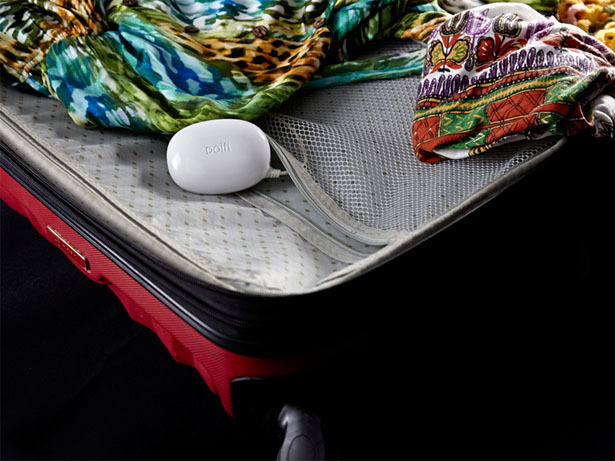 It’s a simple white gadget that cleans clothes using the power of ultrasonic technology. 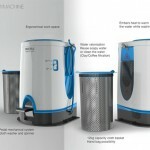 The company explains that these precise, modulated ultrasonic waves can remove dirt and bacteria right down to microscopic level, leaving your clothes fresh and clean. 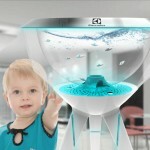 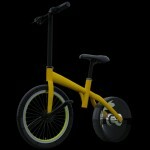 The name itself is a tribute to dolphins, these are beautiful animals that are advanced users of ultrasound. 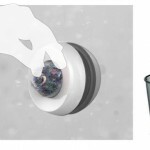 If this this compact device works as promised, it could be word’s smallest and gentles washing device that you can easily carry anywhere. 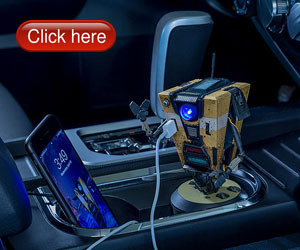 It fits perfectly in the palm of your hand. 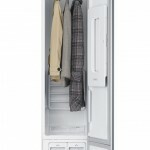 The size really doesn’t describe the power of this gadget has, imagine that you can always have clean and fresh clothes at home or on-the-go. 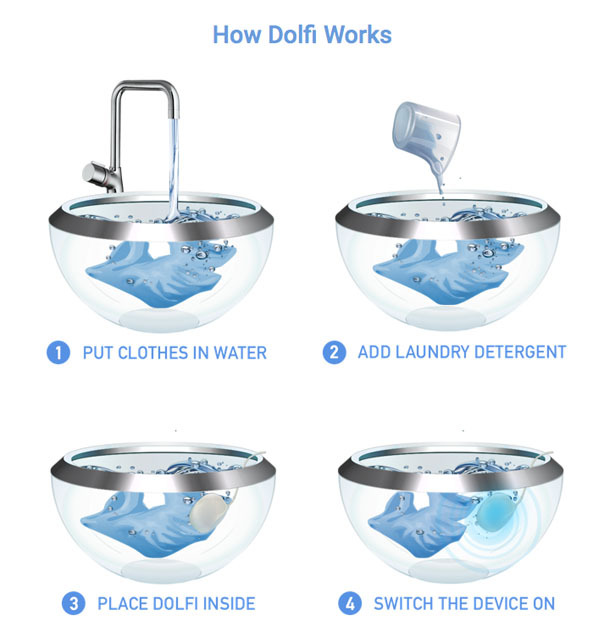 The idea of Dolfi was inspired by a few terrible experiences with laundry during extensive travel. 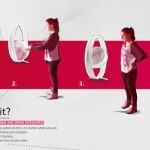 Lena Solis, the founder of Dolfi, thought that there should be an easy and efficient way to get your clothes clean. Keeping that in mind, Solis has the idea of utilizing ultrasound which has been successfully utilized in many industrial and medical applications for so many years. 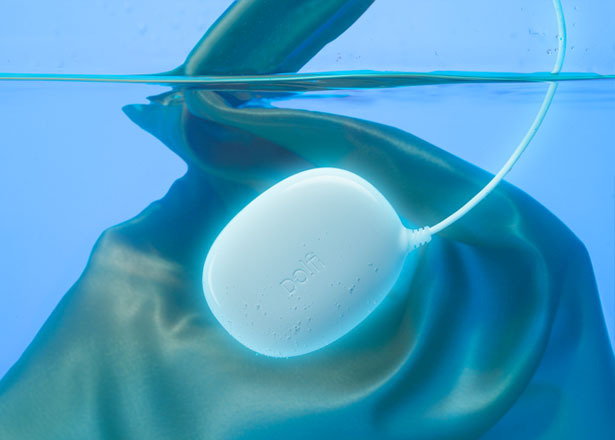 Lena Solis believes that this ultrasonic technology might change the way we wash. 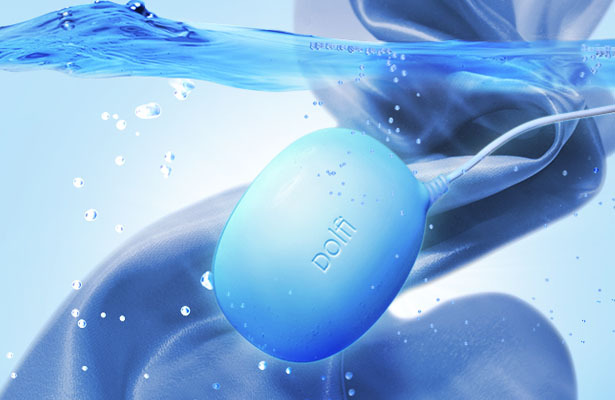 Since Dolfi uses ultra sonic waves, the fabric of your clothes won’t suffer discolor or damage. 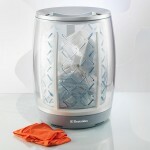 You can easily clean your delicates, cashmere, or lace, no more costly laundry service. 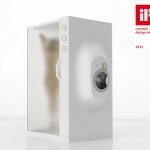 Tagged as compact washing machine, futuristic washing device, portable washing machine, ultrasonic waves washing device, ultrasound washing device.